Power washing your home is an excellent way to give your home a sparkling look and eliminate all the accumulated grime and dirt from your house. However, if you have been thinking of a DIY approach to washing your home, you need to consider several things before you embark on it. You may have read from DIY blogs about power washing your own home. But you must understand that power washing your home is not as easy as it sounds. If you are torn in between doing it yourself and hiring a professional, here are five reasons why you should hire a professional to do the cleaning for you. If your main motivation for pressure washing your home by yourself is to save money, you may have to reconsider that. To pressure wash your home on your own, you need to rent a power washer and all the equipment needed to run it. You will also need to invest in a good-quality construction grade ladder. In addition, you will need safety gear so that you can use the power washer in a safe manner. You also have to consider the cost of the water needed to run it. Furthermore, it will take time to get all the equipment required and then to do the actual cleaning. Considering these figures, it is a lot more cost effective to hire a professional to pressure wash your home and roof. Hiring a professional means paying a flat fee that includes everything required for power washing, and you will also get the services of experienced and trained technicians to handle the work for you. Working with a pressure washer may seem easy but it can be quite dangerous for a newbie. These machines have a tremendous kickback due to the high pressure of the water stream. If you lack experience in using a pressure washer, you can get seriously injured when you try to clean your home with it. Now imagine the danger of using a machine you are unfamiliar with while balancing on a ladder and you will discover that power washing your home on your own is a recipe for disaster and can culminate to injuries. Thus, it is much safer to let the technicians who are trained and experienced in using the power washer do the job. Pressure washing can be significantly wasteful and harmful to your immediate surroundings. 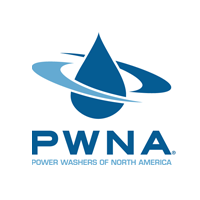 Careless washing can send pollutants and toxins into nearby water sources. However, with state-of-the-art pressure washing equipment and experienced personnel, professional washing companies will ensure that all of their pressure washing projects leave no environmental impact. Making use of techniques and equipment to capture run-off, and choosing environmentally-friendly cleaning solutions, professional washing contractors work under EPA regulations and will help keep your home and environment safe. Hiring a professional with the right training, experience, and equipment to power wash your home will ensure the job is done quickly and correctly. If you are putting your home on the market or if you have an event coming up soon and you want to get it cleaned fast, it is always a good idea to hire a professional rather than struggling by yourself. Pressure washers are powerful equipment that don’t respond well to poor handling. It takes time to master the art of pressure washing. Extreme pressure aimed poorly can completely wreck the surface of your home siding, fence, or deck. When used without the necessary experience, you can in fact strip away layers of your home, causing irreversible damage and making it susceptible to further weathering. However, experienced professionals have the knowledge needed to clean your surfaces without damaging them. Pressure washing is not as simple as it seems, especially when done by an inexperienced individual without the needed equipment. So, if you have been thinking about doing it yourself, understand that there are more advantages to hiring a professional washing company to handle the job than doing it yourself.